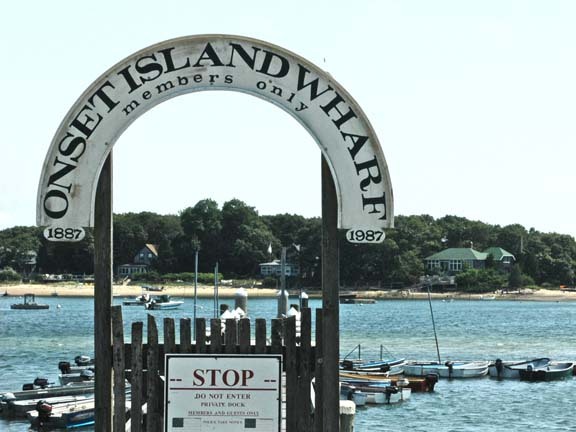 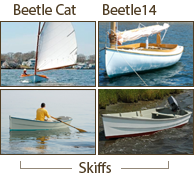 Bill Womack had three skiffs that his family and relatives were using to get from the mainland to their cottages on Onset Island. 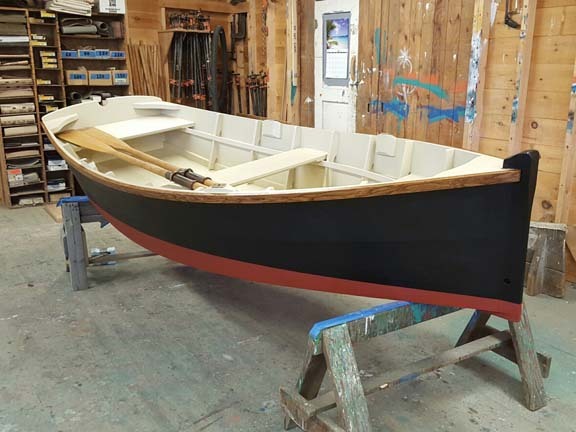 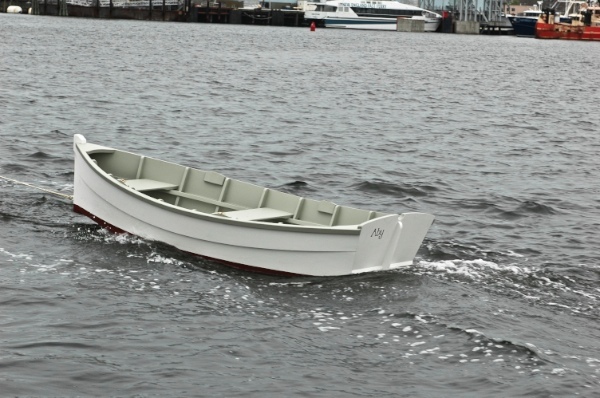 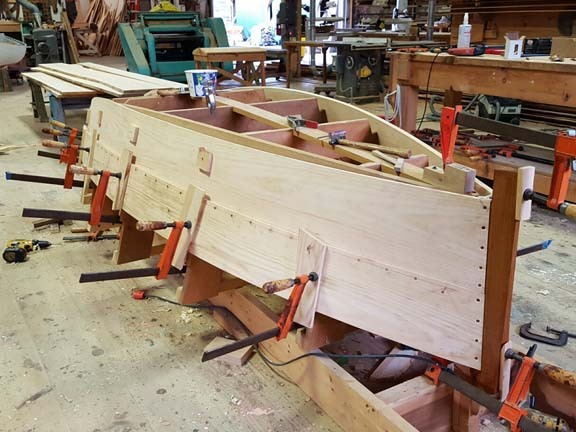 After several years of limping the oldest skiff along, he decided to have the guys build him a new skiff, similar in size and construction to the ones popular on the island. 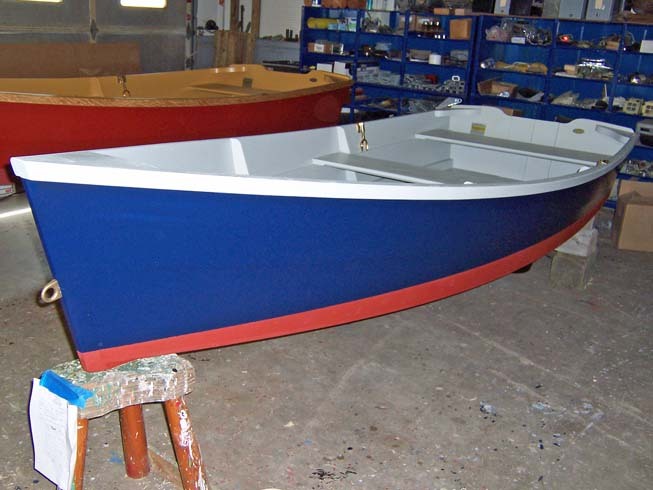 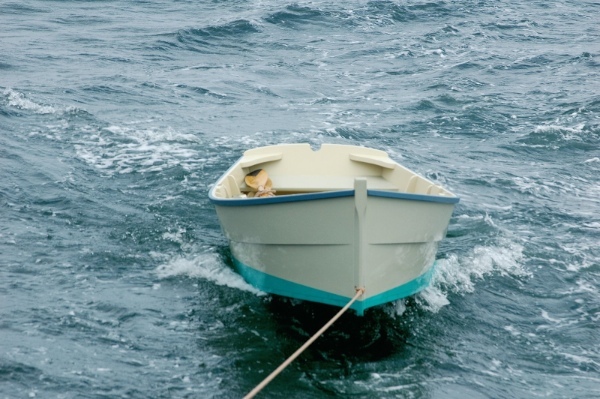 Hence the Onset Island Skiff was born! 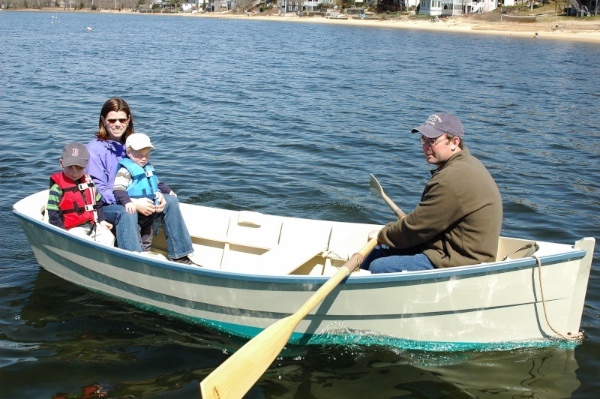 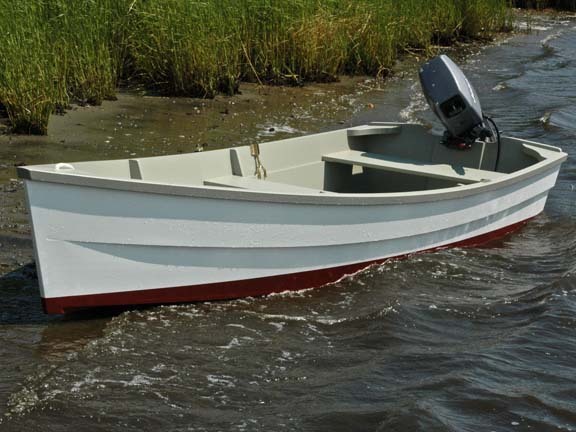 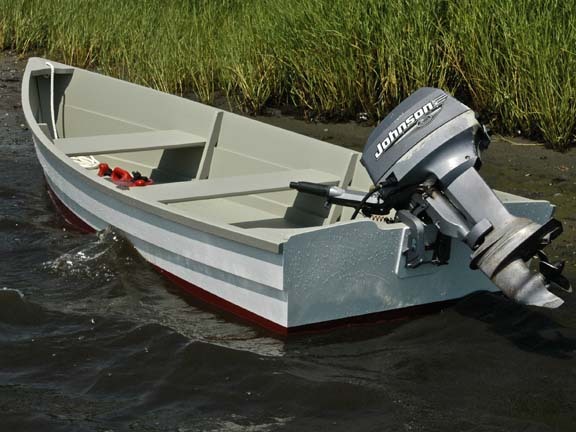 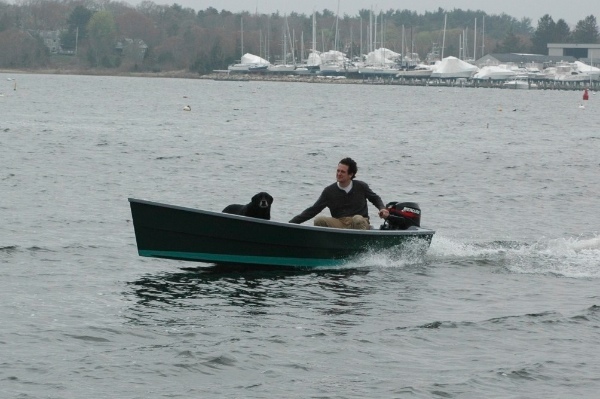 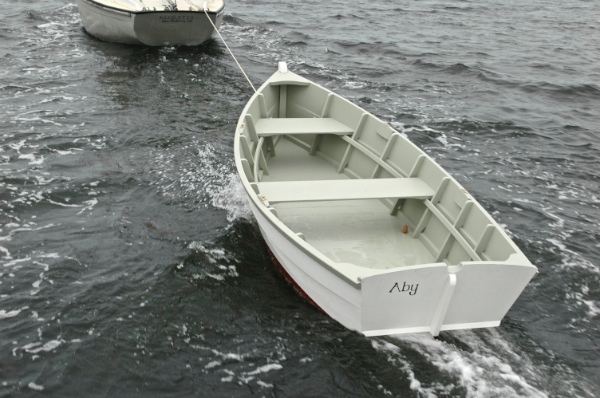 The 12′ 4” skiff features a marine plywood bottom, pine sides, and bronze fastenings. 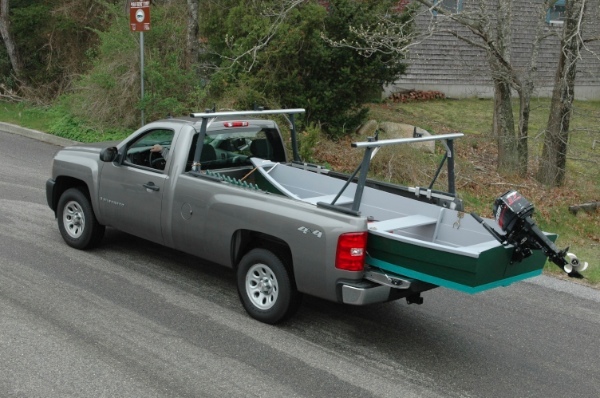 It has three seats, one rowing station, and plenty of room for lugging the island gear! 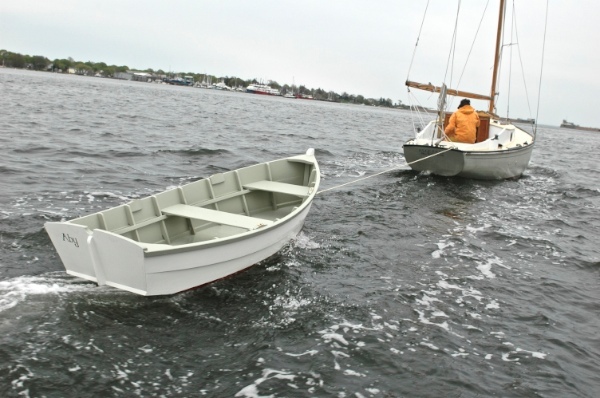 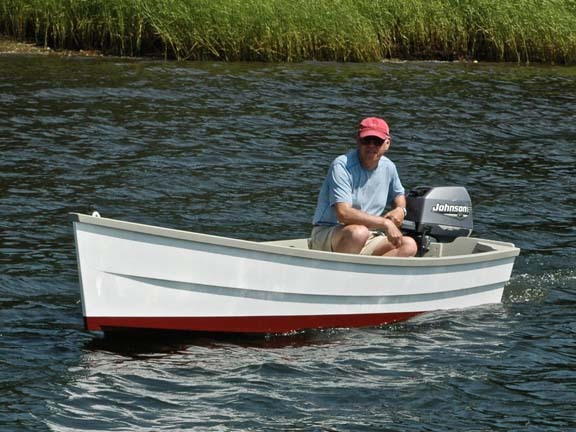 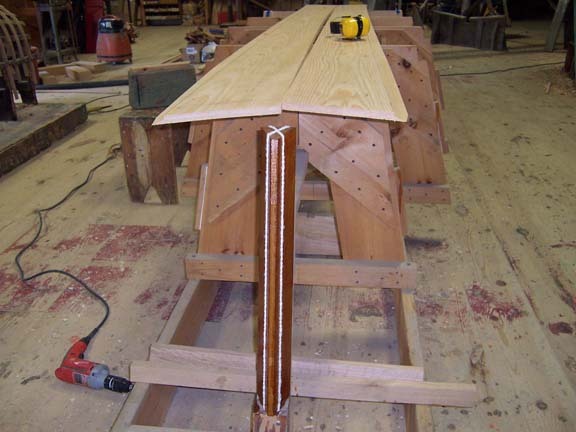 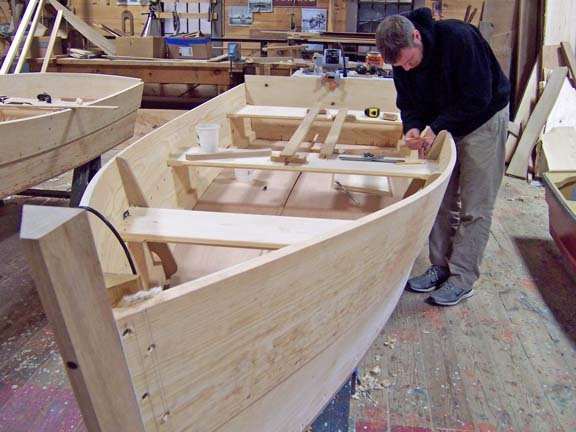 In the summer of 2005, Bill Sauerbrey designed and built the “Willy Potts” rowing skiff. 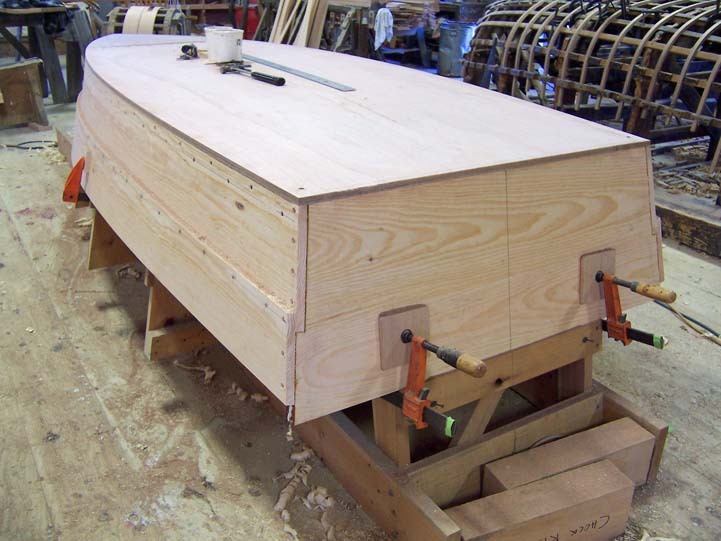 The 10′ 6” traditionally built skiff features a cedar cross planked bottom, pine sides and bronze fastenings. 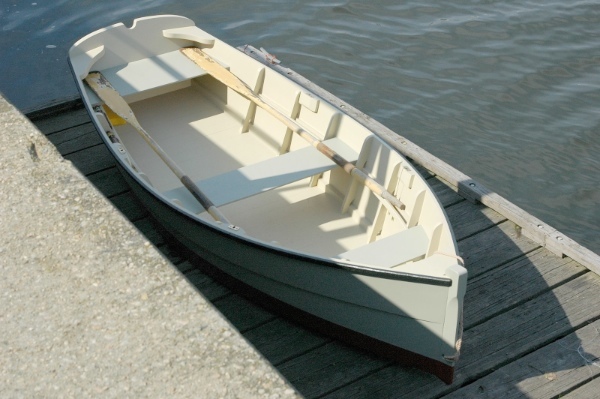 It has three seats, two rowing stations, and plenty of room for gear! 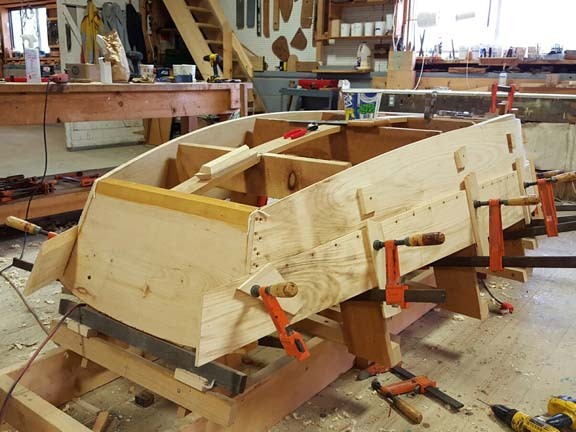 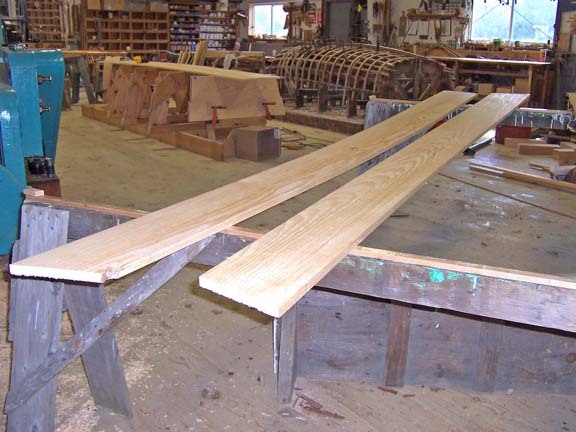 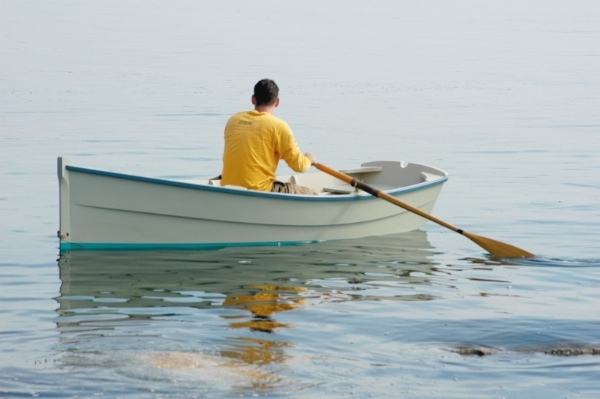 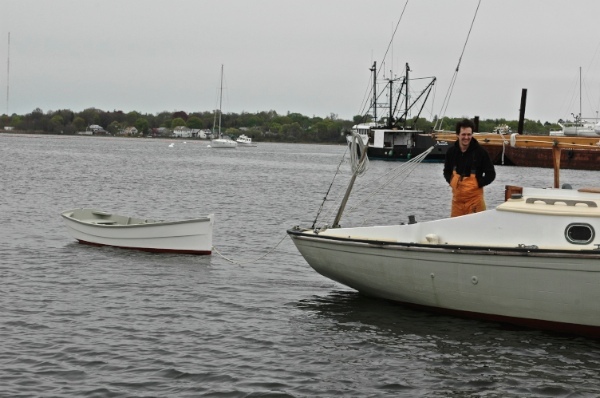 The goal was to provide a well-balanced all-around rowing skiff that could be used as a tender, for fishing, sculling, or just plain rowing about.